Oh Susanna (Aus) caused an upset and walked away with the R5m Sun Met. 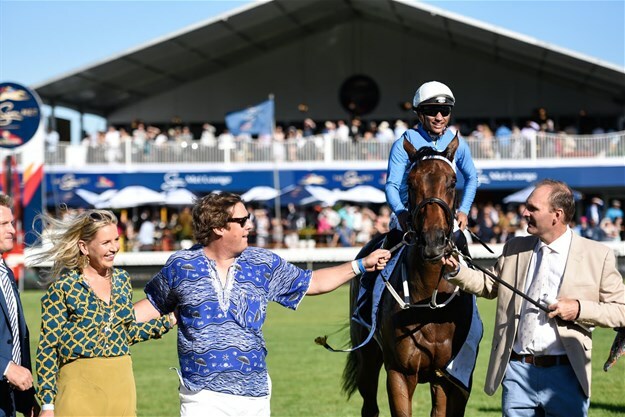 Grant van Niekerk ensured that Oh Susanna came from behind to be named this year’s Sun Met Champion. This year's theme, ‘style ahead of the field’ saw racegoers celebrate Afro-chic fashion, style, and elegance. Various local fashion designers showcased showstopper pieces and their best designs and creations in-between the races at the entertainment marquee leading up to the best-dressed competition. 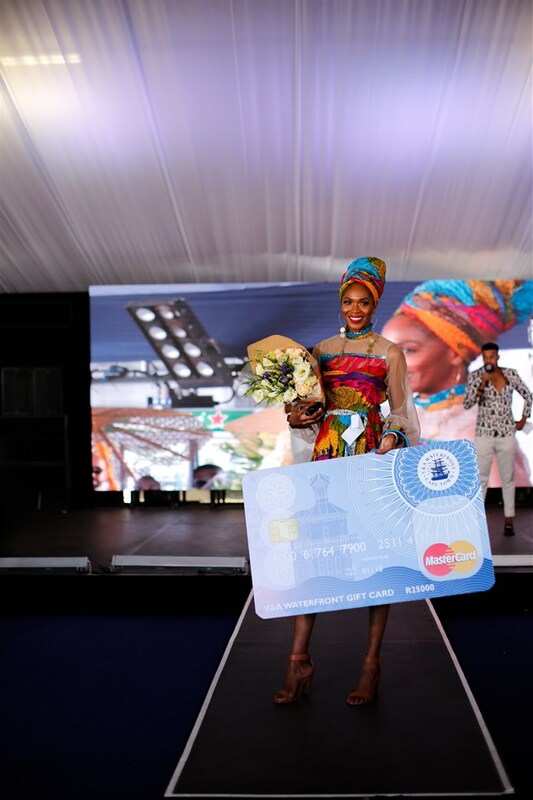 The Sun Met 2018 Fashion Show included designs from some of SA’s fashion designers, including Khosi Nkosi, Imprint ZA, Ri.Ch Factory, and House of Ole. This year’s best-dressed woman honour was awarded to Mala Bryan, who rocked a colourful Afro-chic creation. Charles Samuels, who donned a blue suit with Afro-chic detail, walked off with the best dressed male award. 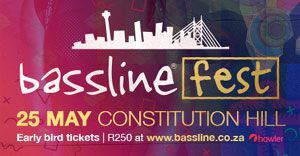 Both walked away with prizes to the value of R25,000 each. Judges for the best-dressed competition included fashionista Melody Molale and designer Mzukisi Mbane. Legendary global television star, stage performer, and award‐winning magician Dynamo was one of the international celebrities who attended the horseracing event. Olympic gold medallist Usain Bolt, who arrived via helicopter on the racecourse moments before the main race took place, attended as the chief entertainment officer. Other local and international A-listers attending this year's race day included Miss Universe 2017 Demi-Leigh Nel-Peters, who is home in South Africa for the very first time since her crowning in New York, actor and TV presenter Siv Ngesi, rapper K.O, TV presenter Ayanda Thabethe, as well as former Miss World Rolene Strauss. 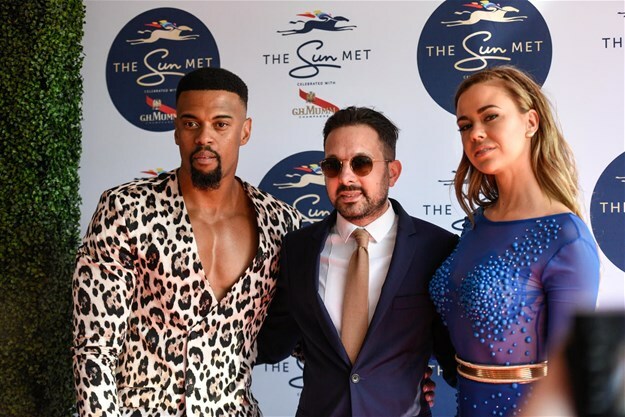 Actor Zweli Dube and the current Miss South Africa Ade van Heerden hosted the live red-carpet ceremony, which also saw a bevvy for former Miss South Africa winners in attendance, including Joan Madibeng, Melinda Bam, and Cindy Nell. Other local athletes in attendance at this year's Sun Met included Bafana Bafana AFCON 1996 winners Neil Tovey and Mark Williams.